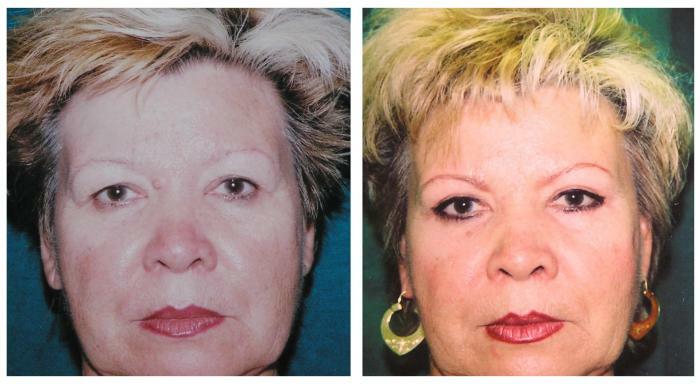 Brow lift is a fairly common and safe procedure to remove the signs of aging in the upper zone of the face for both men and women. With age the droopiness of the upper eyelids and eyebrows, as well as a lot of wrinkles around the eyes and near the temple, begin to show. One's face begins to look increasingly tired and sad. Brow-Lift eliminates wrinkles, lifts eyebrows and the upper eyelids, which gives a rejuvenated, fresh look and confident gaze. There are basically two methods of brow lift with variations: the classic or "Open brow lift", and the Endoscopic blow lift. 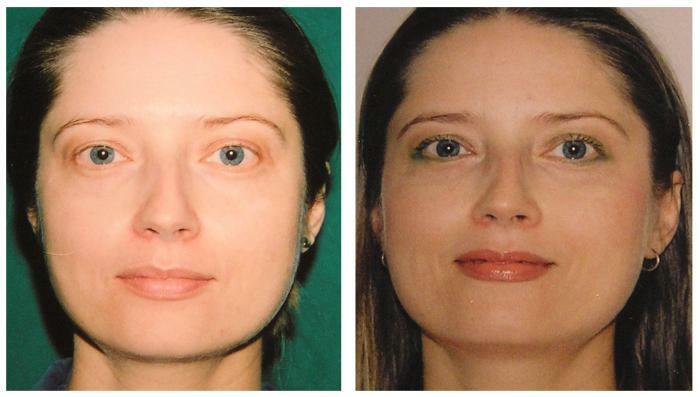 If required, brow lift can be performed in conjunction with the eyelid surgery and face lift. Anaesthesia: Local anaesthetic with intravenous neuroleptoanalgesia. After the surgery, the patient is able to go home with a special bandage on her/his head 2 hours after the operation. Necessary to wear special headbands from 7-8 days. Sutures are removed in 10-12 days. Ability to return for work after 1 week. Price: Pricing for the operation is determined during the consultation. During the consultation the optimum method for the brow lift is determined, while taking into account the signs of aging skin and of the underlying tissues, as well as the pattern of wrinkles and the location of the eyebrows of a given patient. Also, if required, the question of whether the brow lift should be accompanied with eyelid surgery and/or face lift, is determined. The patient needs to quit smoking 1-2 months prior to the surgery for better blood supply and rapid healing. Possible postoperative scars within the scalp. 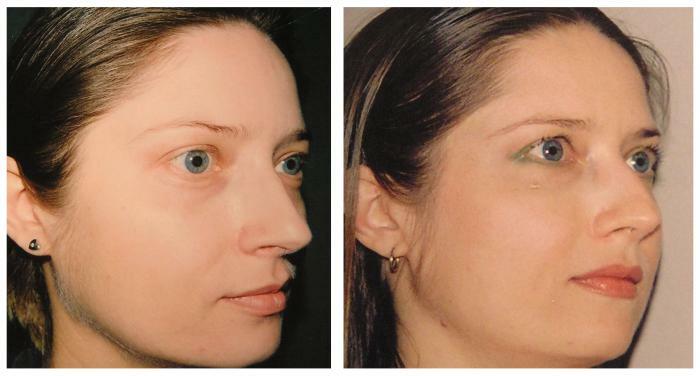 The surgeon must accurately determine the optimal "design" of the upper face area, the symmetry of eyelids, eyebrows and temple regions, as well as posess extensive knowledge of the endoscopic surgical technique.